These two APIs are all about enabling customers and clients to contact organizations for service on support on their own terms. Nexmo’s newest APIs include a wide range of different messaging application compatibility in order to not only open up new methods of communication, but also help ensure that time sensitive information is delivered successfully. 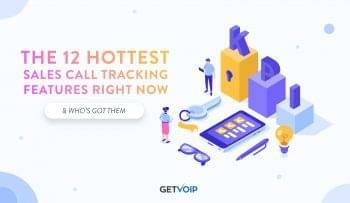 Now that might seem like a bit of a mouthful, but we’ll break it down further and take a closer look at exactly what Vonage and Nexmo have introduced, and how they benefit both customers and organizations at the same time. Just to provide a little more context, Nexmo is of course an API platform, closely connected with Vonage’s overall UCaaS platform. Generally stacked up against the popular Twilio, Nexmo provides organizations with the APIs they need to introduce new methods of communications and even authentication into their websites, mobile apps and more. 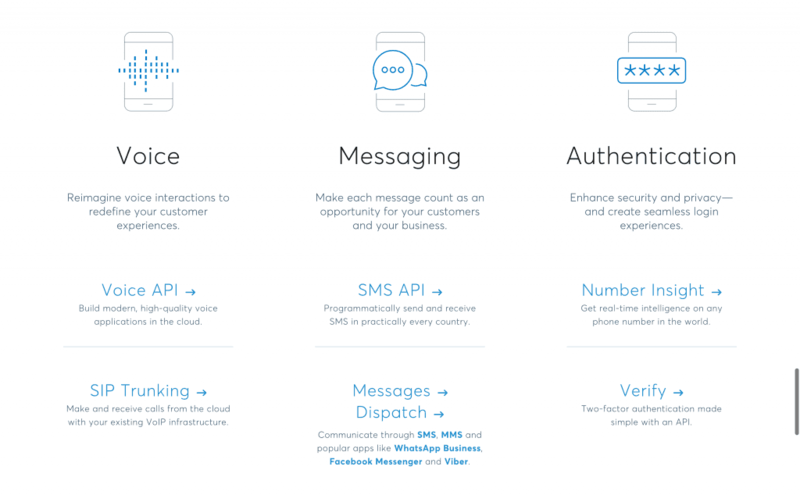 This announcement included two specific new products, the Messages API as well as the Dispatch API. While closely related, and offering similar functionality, these two APIs actually achieve two different goals for different use-cases. 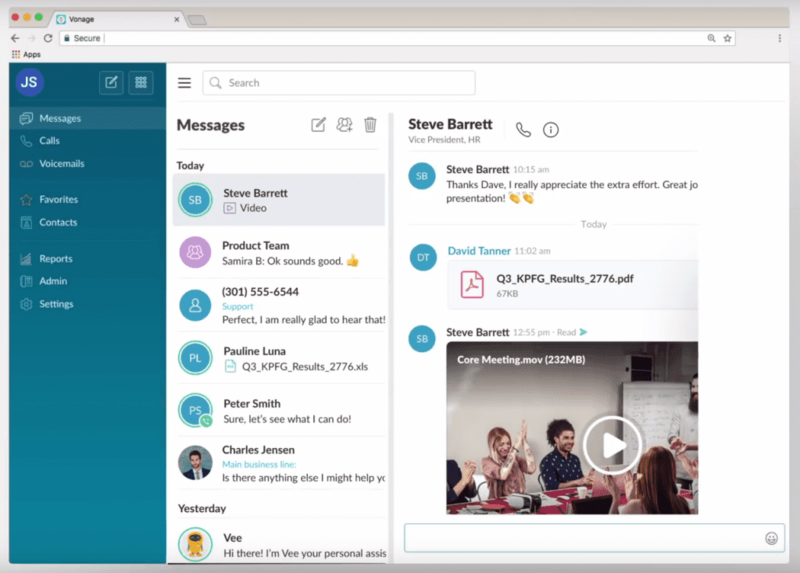 The new Messages API (Application Program Interface) enables organizations to provide customers with a wide range of communications options by introducing multiple popular Messaging Applications to an existing customer service platform. Simply put, organizations can allow customers to engage with their support team through something like Facebook Messenger or WhatsApp. But more importantly, organizations are able to provide this functionality through the use of one single Nexmo Message API. Previously, developers would need to individual source and integrate different APIs for these different platforms; one specific WhatsApp API to add WhatsApp functionality, and one specific Facebook API to add Facebook Messenger functionality. Instead of relying on specific, individual APIs, organizations now only have to utilize this one single Messaging API to include multiple messaging platforms within their website, mobile app, or even desktop CRM. How Will Messages Be Used? By integrating multiple messaging platforms into a website or mobile application, this new Messages API simply enables organizations to provide excellent customer support by allowing consumers to get in touch with companies on the channels that they favor. Nexmo also included core functionality of SMS and MMS into this Messages API as well, expanding beyond just popular third party messaging platforms. After all, while WhatsApp might be a very common choice, SMS and MMS are still the most popular messaging options used around the globe, and offer the greatest breadth of coverage. On the other hand, organizations can also integrate this Messages API into their own desktop CRM, for example Zendesk or Freshdesk, enabling agents to gain access to these new channels, and leverage the information gathered through these interactions. Since the Messages API is simply that, an API, organizations are free to customize the experience for both consumers and agents. This isn’t a pre-packaged application, and organizations can completely customize how they want these new integrations to be used. Along with the Messages API, Nexmo’s newest Dispatch API is also about enabling consumers to receive information on the channels they find most convenient — but in a slightly different manner. The Dispatch API is all about enabling organizations to provide customers and consumers with time-sensitive information, but more importantly, to ensure that this information is delivered successfully. Putting that all into English, the Dispatch API will enable a business to set up a sequence of events to ensure the successful deliver information, something like package delivery notification or confirmation, appointment reminders, or authentication information. But, instead of simply sending this information through a text or email and hoping the user will see it, the Dispatch API takes delivery one step further. Any business utilizing the Dispatch API will be able to send these messages through multiple channels. For example, businesses might notice that their customers utilize WhatsApp the most, so they decide to send all time-sensitive notifications through WhatsApp. If the Dispatch API receives a “read” status on this message, then it knows the customer received the message. However, if the Dispatch API does not receive a “read” status, it will then try the next channel — depending on the API is configured, this could be another messaging platform like Facebook Messenger, or it could just go straight to SMS. The idea is that the Dispatch API provides organization with the flexibility and customization power to not only decide how they send messages, but also ensure that these time-sensitive messages are received. Organizations begin with the customer’s preferred channel of communication, then fallback to another channel based on set parameters, like time and message status. This enables a business to take full advantage of a multi-channel approach to ensure that the information is not only sent, but delivered and read. How Will Dispatch Be Used? The main point of the Dispatch API is to specifically ensure that the end-user receives time sensitive information. As I mentioned before, this could include delivery status, delivery notifications, or appointment reminders — any situation that requires multiple people to be at the same time or place. 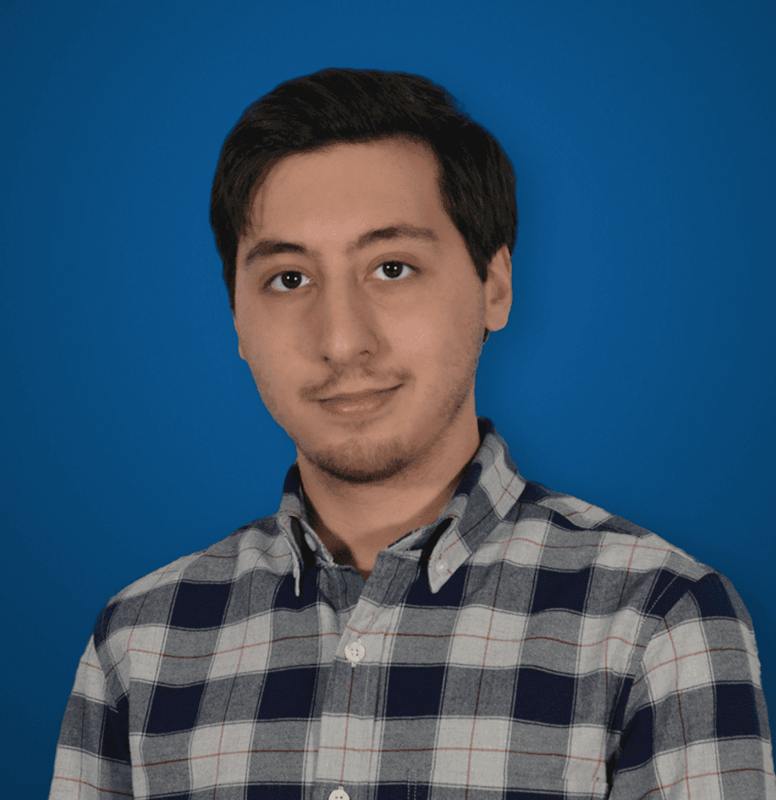 An interesting, specific use-case of the Dispatch API would be to help solve what is known as the “last mile problem,” in order to minimize the overall chance of a no-show. Of course, no-shows slow down the overall process, and increase the cost of the interaction. If a package needs to be redelivered, both the business and user have lost time. Digging into that example a bit further, when delivering a package that requires a signature — again, a scenario that requires two people to meet at a very specific time and place — the Dispatch API can be utilized to ensure that a notification of the location and time is not only sent to the recipient, but also read and agreed upon. Since Nexmo is part of the Vonage platform, it’s important to also note that these new Nexmo APIs will work directly with some specific Vonage UCaaS solutions. A little while ago I wrote a post highlighting the announcement of VonageFlow, the providers UC and Team Collaboration solution. This platform introduced instant messaging, group messaging, file sharing, SMS texting and voice calls to the Vonage Business Cloud. This platform is of course already taking advantage of Nexmo APIs, and that is no different when it comes to the new Messages API. 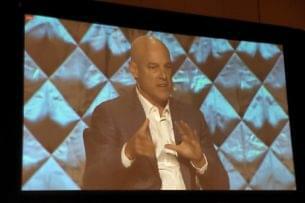 Since this API is completely open to customization, organizations could directly integrate the Messages functionality into the Vonage Flow platform, enabling agents to interact with customers on the same platform they utilize to collaborate — this is exactly what CEO Alan Maserak was describing a few years ago when we spoke about the Vonage Master Plan, bridging the gaps between communications. Going one step further, Vonage Flow also introduced what is known as the Business Inbox, a functionality that enables organizations to integrate with social media platforms like Facebook, enabling organizations to send and receive messages from customers. Again, there is a direct synergy here with the new Nexmo Messages API, further expanding the number of channels that an organization can utilize, now introducing other popular Messaging platforms and even SMS and MMS capabilities. With these two new APIs, Nexmo is expanding its customer experience capabilities even further. By enabling organizations to integrate multiple messaging channels through the use of one single API, Nexmo offers quite a bit of a leg up on the competition — not only expanding functionality and customization, but also simplifying the overall process at the same time. 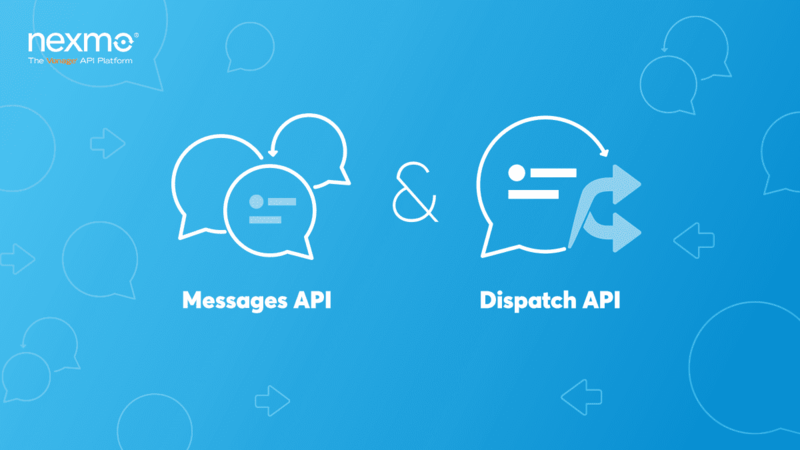 Both the Dispatch and Messages API introduce entirely new functionality that enables organizations to provide not only a greater experience for their end-users, but their own in-house customer service and support teams as well. 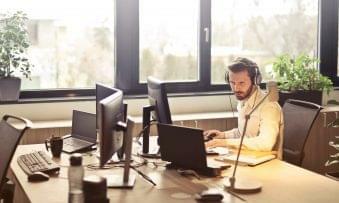 By integrating these functionalities into an existing support service or desktop CRM application, or even Vonage tools like the Flow platform, organizations can gain quite an advantage over their competition. These APIs help organizations deliver a better experience, reduce friction, and overall reduce the time and cost associated with providing great service to accompany their products and solutions.